The scenario will involve an Apache attack helicopter simulation (using Brunner Elektronik’s VR-200 Motion simulator specially fitted with Apache replica control grips), a HMMWV driver and gunner trainer using Raydon Corporation’s Mission Reconfigurable technology, and dismounted soldiers using VR and motion tracking from Serious Simulations, all integrated with BISim’s new technology suite to support the future of military training requirements (including U.S. Army Synthetic Training Environment requirements). BISim staff at desktop PC stations will represent a quick-reaction force comprised of various U.S. Army vehicles in the scenario using VBS STE, part of BISim’s new technology suite which combines an enhance VBS simulation engine with VBS Blue whole-earth rendering. 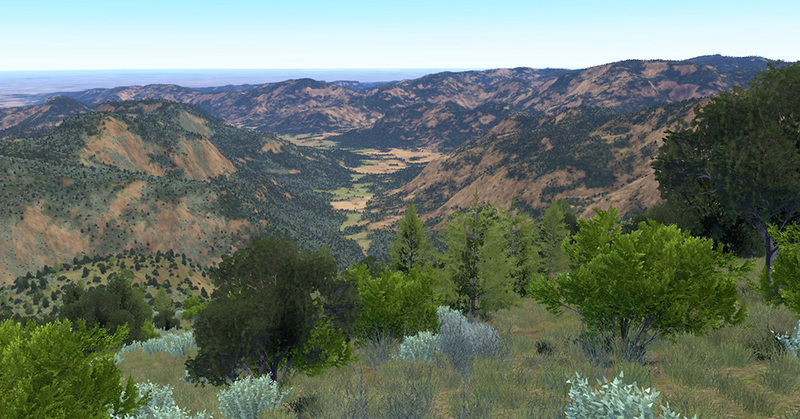 The scenario will also incorporate terrain editing and management technologies developed by TerraSim, a BISim company, and close air support simulation applications from SimCentric Technologies. Also at the booth, CM Labs Simulations will demonstrate new physics capabilities available to VBS users through integration between their product Vortex Studio and the BISim product line. 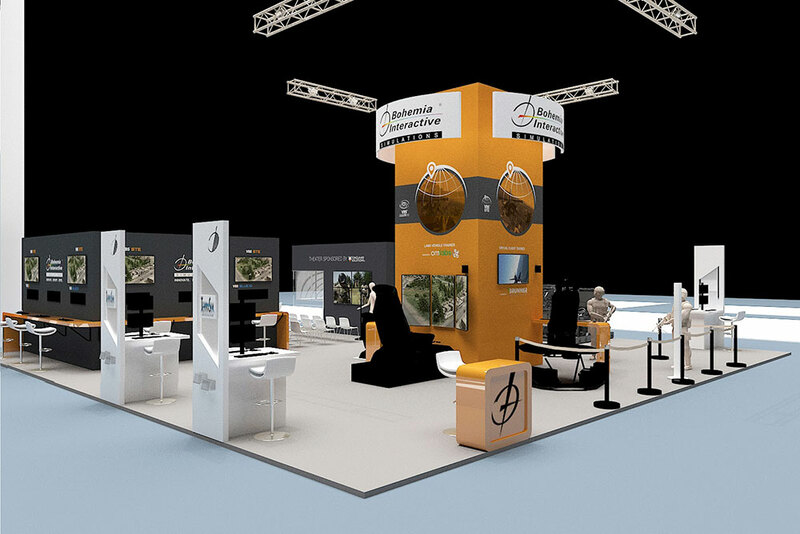 BISim will also showcase the latest advances in VR and MR for simulation and training at its booth. See live demos of the technology suite during I/ITSEC 2018 at booth #2235. To schedule a private meeting or demonstration, contact sales.us@bisimulations.com. Join BISim and our booth partners to sample a selection of beers from around the world at our booth #2235 at 1700. BISim invites military and industry to learn about the latest updates to the BISim product line and hear our plans for upcoming releases and other future tech. Register to attend. 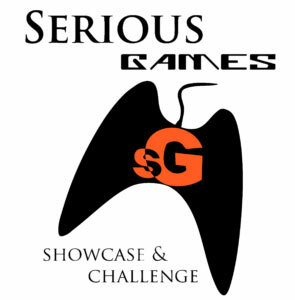 BISim is proud to sponsor the 2018 People’s Choice award of the Serious Games Showcase & Challenge. Visit the Showcase in the STEM Pavilion during I/ITSEC and cast your vote. At I/ITSEC, TerraSim will introduce our new terrain server technology, which underpins BISim’s cloud-enabled simulation solution for the U.S. Army STE program. Our STE World Server (STEWS) is based on open standards for streaming terrain data to any runtime system. A modular architecture allows the use of plug-ins for emerging and legacy terrain data formats, and enables advanced capabilities including collaborative real-time terrain editing. We will also be demonstrating the latest features in TerraTools including updates to support the latest releases of VBS3, VBS Blue IG, and OneSAF. TerraSim Inc., a Bohemia Interactive Simulations Company, is a leading geospatial technology company that develops advanced software solutions to automate the manipulation of geospatial source data, the generation of 3D terrain databases, and the export of those environments to the widest range of visual, constructive, and serious game runtimes in the industry. For more information about TerraSim or our products, visit us on the web at www.terrasim.com or email us at sales@terrasim.com. 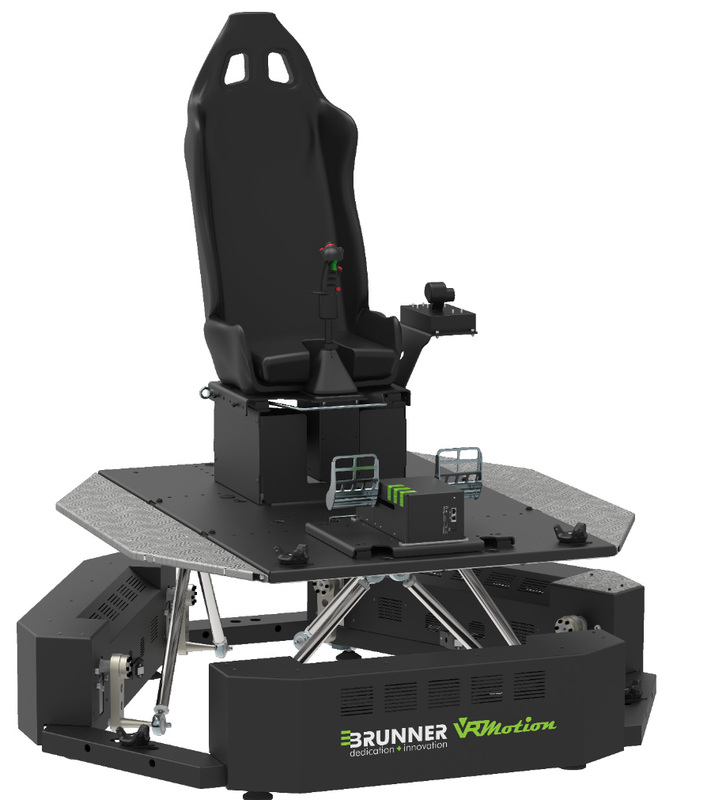 The BRUNNER VR-Motion 200 Platform combines State-of the-Art Virtual Reality technology with powerful dynamic motion enriched Virtual Training environments. Combined with BiSim's new VBS Blue IG whole world rendering it opens up a whole world of new tactical and strategic training possibilities. BRUNNER creates powerful and affordable simulation solutions for applications like aircraft , military ground vehicle or car simulators. Compact, light and versatile are key factors for our customers! At I/ITSEC 2018, CM Labs Simulations will be demonstrating the new Vortex Studio for VBS integration, along with the Vortex Studio software suite and a Vortex Advantage construction simulator. Vortex Studio for VBS3 is a ground-breaking development in military training simulations, a software integration that allows users of Bohemia’s VBS3 and VBS STE to easily enhance their simulations with Vortex Studio’s innovative dynamics engine, adding higher-fidelity vehicles and equipment in training and mission planning applications. 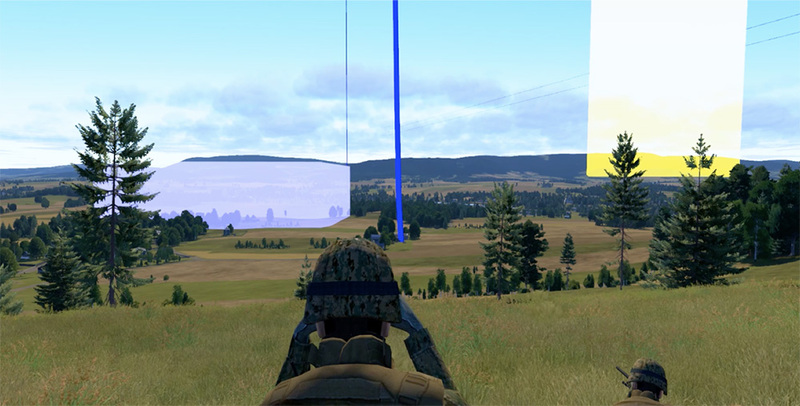 Bohemia Interactive Simulations’ VBS Blue IG is the engine that will drive Raydon Corporation’s brand-new Mission Reconfigurable Technology at I/ITSEC 2018. This will be a must-see experience – even for those who have been working in this industry a long time. Mission Reconfigurable Technology works with any third-party software, but the synergy with VBS Blue is something to behold -- the world’s best image generation software running on Raydon’s incredible new Reconfigurable Vehicle Trainer. 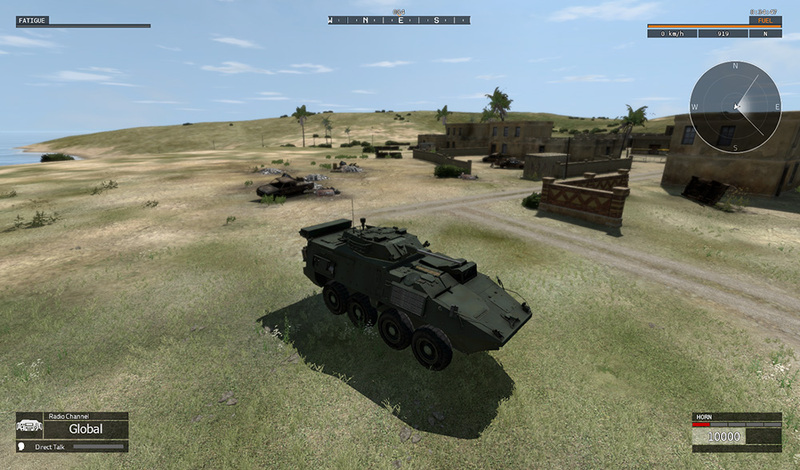 Raydon and BISim have put together a game-changing experience that can support gunnery and maneuver training for more than 30 different tracked and wheeled vehicles. Raydon has led the charge for open standards and reconfigurable platforms throughout its 30-year history. Mission Reconfigurable Technology is our most recent innovation. Our goal is to provide commanders a seamless and simple solution to training, with powerful options to adapt to new mission requirements. 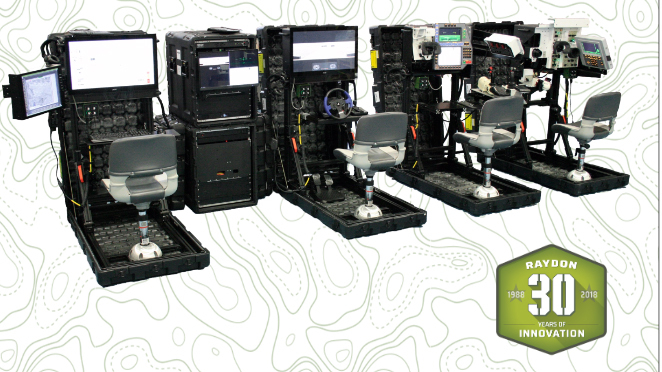 Built on five portable base stations with interchangeable dashboards and peripherals, the entire training system is controlled by a single instructor/operator station with a two-case, portable computer rack, and is powered by one standard 20-amp electrical connection. Portable, interoperable, simple, with highly effective training -- Mission Reconfigurable Technology is the type of fearless innovation Raydon has consistently delivered to our warfighters over 30 years of service. It is practical innovation that fits seamlessly into our military’s integrated, multi-domain combat training requirements, structured in a way that anticipates the technology evolution soon to come. Real Time MOCAP animation for VR/AR training. BISIM and Serious Simulations will demonstrate VBS3 support for real time animation of avatars, using MOCAP data from human trainees. Using a real-time inverse kinematic solver, in plug-ins developed for VBS3 Fusion and SDK versions, avatars reflect the actual movements of the human being trained. The enhanced movements increase immersion and improve training by not relying on standard, pre-programmed animations. At I/ITSEC 2018, SimCentric Technologies will demonstrate their system agnostic, multi-channel Joint Fires SAFFIRES training application, integrated with VBS Blue IG. 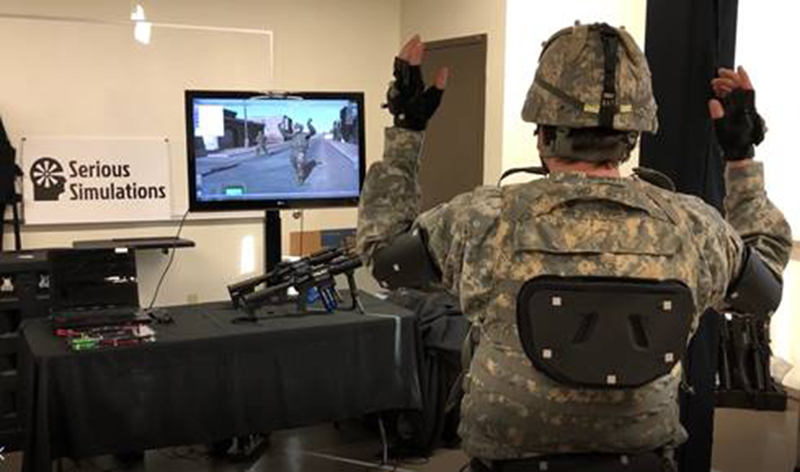 Compliant across DIS and CIGI standards with VBS STE architecture, SimCentric Joint Fires software supports flexible, proven configurations to deliver Joint Fires training to current user communities across US Army, US Marine Corps, US Air Force, US SOCOM, and internationally. SimCentric Technologies is also launching SAF-Foresight at I/ITSEC 2018, their JSP 403 compliant standards-based fratricide risk reduction tool for combined arms live fire training. Supporting permanent and temporary surface danger zone generation with live exercise safety monitoring and Artificial Intelligence enabled automated risk intervention, SAF-Foresight is aimed directly at the systemic reduction of risk for complex live fire training.